One of the hardest things to do in a relationship is telling your partner that you have herpes. If you are just meeting someone for the first time then it will be even more embarrassing to tell them. People who are not infected with herpes usually don’t want to form relationships with people who have herpes because they’re afraid they could catch it themselves. If you are already in the relationship then there is no telling whether or not the person will want to stay with you after you tell them. Your best chance of sustaining the relationship is laying the news on them in the right way. Here are some dating advices for herpes singles on how to tell someone you have herpes. Before you even tell someone you have herpes, try learning everything you can about the disease. Chances are your doctor has already given you some information about it but you’ll need to be ready to answer questions in case the person you’re telling has any. Basically, you’ll want to reassure the person that herpes is common and that over 90% of American adults have been exposed to HSV-1. If your partner asks you what the symptoms of herpes are, you can tell them about how it generates sores around the genital area. 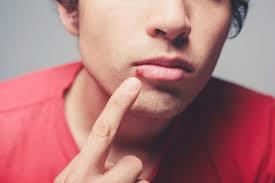 Reassure them that most herpes symptoms are mild and are not life threatening. This will make them feel better about it. Since telling someone you have herpes is big news, you have to pick the right place to tell them. Don’t just interrupt your partner while they’re busy at work and throw this news onto them. You need to pick a relaxed setting where the two of you can be alone. Perhaps you could cook a nice meal and the two of you could talk alone at the dinner table. Then you can gradually bring up the fact that you went to the doctor’s office for a check-up and they discovered you have herpes. If you do this then their reaction should be less severe than if you were to do it during a busier time for them. If you are currently in a relationship and have developed herpes then you need to figure out how you could have gotten it. If you cheated on your partner then that’s probably the reason. But if you haven’t cheated, then it must mean your partner cheated and gave it to you. Either way, you have to be completely honest with your partner when you tell them you have herpes. If you did cheat then don’t lie and say you didn’t because that would be pointless. If you didn’t cheat then politely ask your partner if they cheated. From there, you both will have to decide the future of your relationship and whether or not the cheating party deserves to be forgiven. All in all, we certainly know that it’s difficult for you to disclosure your herpes status to your partner, but we still encourage you to do so -Not only because you might face the civil lawsuit by hiding your STD status, but also you need to protect your lovers. Remember: No pains, no gains; No cross, no crown! Previous story Does dating sites for people with herpes work?